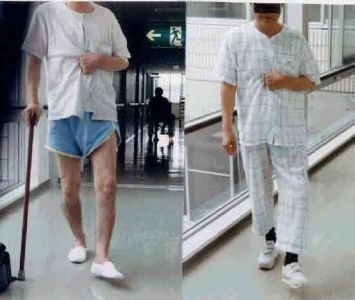 It is a big problem for most caregivers to take care of the elderly patients, especially those who are paralyzed and have cerebral apoplexy. This is a worldwide problem, but if we have enough knowledge in taking care of them, your worries may reduce dramatically and your old folks will be able to regain their health. Most doctors believe that paralysis is caused by brain damage, which is true. Thus, there is no way to restore or replace the damaged brain. But, is there any idea to utilize the undamaged parts of the brain as a substitute? Is it possible? Many of us doubt it, but there are people who were able to do it by the endeavor of caregivers and patients. This is great news and a bright hope for all! 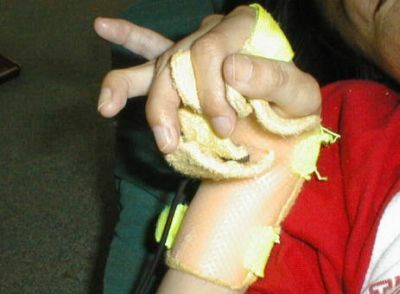 Cerebral apoplexy patients are mostly paralyzed partially or entirely. Some can't move their arms, feet, or are unable to move at all. Some are unable to speak altogether. Care for such people might come upon you, young men and women in the near future. It is our duty to take care of our old parents for them to enjoy their remaining life. If you neglect it, what do you feel when you'll be on the same situation as them? Every now and then, we receive e-mails telling us, “my healthy husband suddenly became paralyzed when he went to our garden, and now I don't know what to do”; “I want to die because my body is just like a frozen vegetable”, and so on. Now, let us find remedies for them. After our long and various researches and trials on several paralyzed patients, we found and hear voices of “We can walk”; “We can talk”; “My husband can now work again”; “We got new life”. Several caregivers told us that the more they take care of the patients, the patient's condition usually worsen as they lose determination to recover. Of course, it is important to show that patients will see improvement with rehabilitation they do every day. 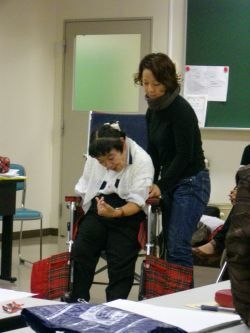 Of course, we do not mean that all paralyzed patients will get well. There will be various stages of damage. But, let's do it! You might be the lucky one, and the beautiful smile on your face may return. When the patient or an elderly person has difficulties holding the spoon while eating, you'll usually help in holding the spoon to make the patient eat easily. But as much as possible, don't help. Instead, just assist in holding the plate or cup. This way, the patient will try the best he or she can do. If the patient has difficulties standing from bed or chair, you'll usually help in holding the body of the patient. Don't help as much as possible. Instead, try giving a cushion or some other supporting materials, so that the patient will try his or her best to stand alone. If a cell phone rings, give it to the patient, so that he or she will try to hold the phone, and will try to speak. This way, he or she will learn how to hold the phone and speak. Place some identical and noticeable patch or sticker to indicate up or down for clothes, trousers, pants, phone, etc. This way, patients will understand where to hold easily. You may say that the parts of the patient's brain used for hearing, talking, gripping with hands, are damaged. Yes, we knew it. But our long research shows that other parts of the brain will work for hearing, talking, and holding a phone, as a substitute for the damaged brain when needed. That's what we discovered. Isn't it great? Many unbelievable things can be done with the remaining brain. This means if you know how to take care a paralyzed patient, his or her remaining brain will start to work as a substitute for the dead brain. It means the paralyzed part of the brain will regain its sense of touch, and the other parts of the brain will awaken to assist the work of the dead brain. It is a very simple rehabilitation technique, isn't it? Of course, we do not mean that this article is not adaptable to all paralyzed and vegetative state patients. Some are lucky and some may be unlucky, although we try to make everybody happy. We are happy if this article may help even a part of your caregivers work.